At the time of this writing, according to CoinMarketCap, there are more than 1500 cryptocurrencies trading in the market. Isn’t it incredible? So many currencies to choose from! More choice means more confusion. Which currency should I invest in? Which currency is really trying to solve a problem? What are the best new crypto-coins in town? Which of these coins are scams? How do I get started with these coins? Where do I store such coins? That’s why, here at CoinSutra, we provide you with detailed information on popular cryptocurrencies so that you can make the best decisions possible. Well, one such cryptocurrency which has quietly risen quietly to the top 50 list of cryptocurrencies by market cap this year is Komodo (KMD). Komodo prices have surged more than 2200% in the last six months. Let’s take a detailed look at this emerging coin. Komodo is kind of like the “part 2” of the cryptocurrency revolution. 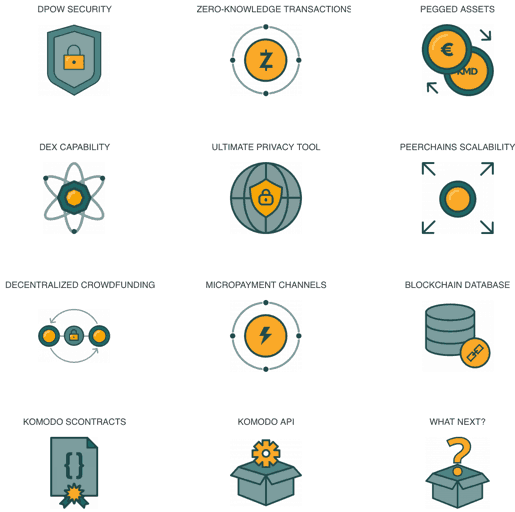 The Komodo platform will help the cryptocurrency space develop and flourish by providing security to third party blockchains, power applications with privacy features, and provide the means to achieve price stability in peer-to-peer payment services. 1. Zcash – This is an open cryptocurrency project that uses the zk-SNARK protocol. This is a new cryptographic zero-knowledge proof protocol that ensures privacy, anonymity, and fungibility of any cryptocurrency. Komodo is also using the same protocol to make private and anonymous transactions. 2. Delayed Proof of Work (dPOW) – This is a new protocol developed by Komodo developers. It is a consensus mechanism which uses the regular proof of work protocol (just like Bitcoin) but does it a little differently. dPoW involves a mechanism that notarizes the blocks on the blockchain, ensuring total immutability and giving the transactions a second layer of security. The 64 pre-selected notary nodes do this notarization work and mitigate the risk of immutability. This means that if some attacker wants to change a historic Komodo transaction, then he/she has to first change the Bitcoin blockchain, which we already know is not possible. Read the whitepaper here. Komodo team has developed a decentralized exchange powered by the novel tech of atomic swaps and that’s why I see them a step ahead than other decentralized exchanges. Other decentralized exchanges use proxy tokens or concept of pegged assets to enable exchange on their platforms but BarterDex bypasses those workarounds via atomic swaps. And on almost all decentralized exchanges too, one needs to exchange currencies by keeping BTC as an intermediary, they don’t have decentralized order matching and settlements while on BarterDex there is no such limitation. So far BarterDex has powered more than 50,000 atomic swaps and has more than 80 cryptocurrencies integrated on their DEX. A less user-friendly GUI version is available for advanced users but soon a very easy to use exchange with enhanced UI is expected to be released this year. dICO, as it looks from its name itself, is a decentralized version of ICOs or token sale powered by Komodo platform. In the background, the dICO model uses the BarterDex and Atomic swap technologies to achieve a total decentralized and anonymous issuance and distribution of coins/tokens through their dICO model. The concept is still being improved to make it more user-friendly so that many ICOs can be done on this model. It will be an interesting thing to watch because no one else is focusing on this area and sight of countries banning/regulating ICOs this can be the much-needed thing. Jumblr is a coin mixer or you can say it is a decentralized coin mixer that works as a decentralized anonymizer. Jumblr is better than centralized mixers because of the zero-knowledge proofs that provide total anonymity and the fee of 0.3% is also nominal when compared with other services. The feature of Jumblr can be accessed from Agama wallet. 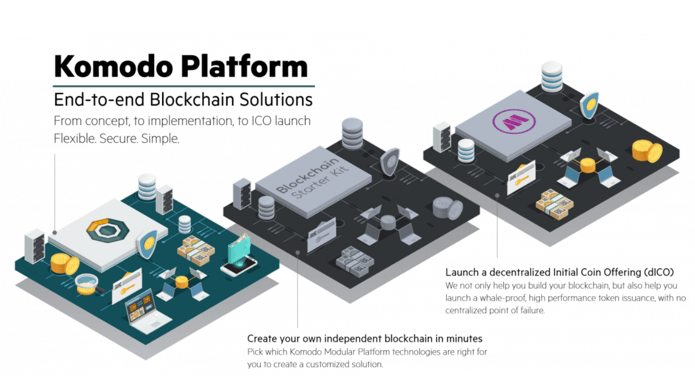 Komodo platform also provides modularity by allowing different projects to make their own independent blockchain that is tied to Komodo. 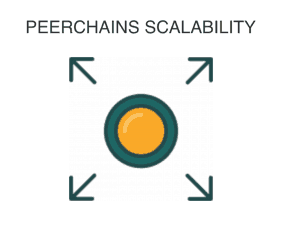 Tied to Komodo doesn’t mean that they are limited to Komodo’s blockchain and such blockchain are called peerchains in this ecosystem. These blockchains can inherit or no inherit any future upgrades as per their wish and still remain tied to Komodo platform. In all these areas continuous improvement is being done and of course, these solutions are not yet perfect but mind you Komodo is trying to walk on an unchartered territory so some hiccups are expected but overall the direction looks good and positive. Almost all of the Komodo team members believe in privacy protection, and hence, use pseudonyms. This leads to a lot of people to think that this operation is shady, but it really isn’t. Komodo has a total fixed supply of 200 million coins, out of which 100 million were pre-mined and distributed in the ICO. Out of this 100 million, 90 million were distributed to investors, and 10 million were kept aside for future development and marketing of the Komodo platform. The Komodo ICO period was October 15, 2016 – November 20, 2016. During this ICO, 2639 BTCs were raised (worth $1,983,781 at the time). The remaining 100 million coins are still being mined via the proof-of-work algorithm. 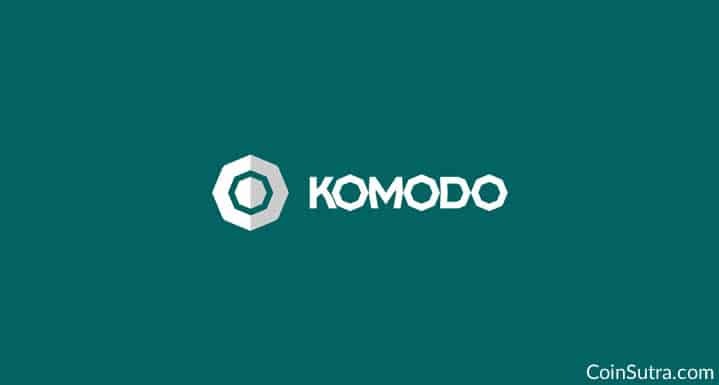 According to CoinMarketCap, the total circulating supply of Komodo is 109,990,629 KMD, and the current price of each unit is $1.14. That makes its market cap approximately $125 million (at the time of this article). Buying Komodo directly in fiat currency is a little difficult. But you can exchange your other coins, such as BTC, LTC, or ETH in exchange for Komodo tokens on ShapeShift. The procedure is very simple. Some bitcoins/altcoins to exchange for Komodo. 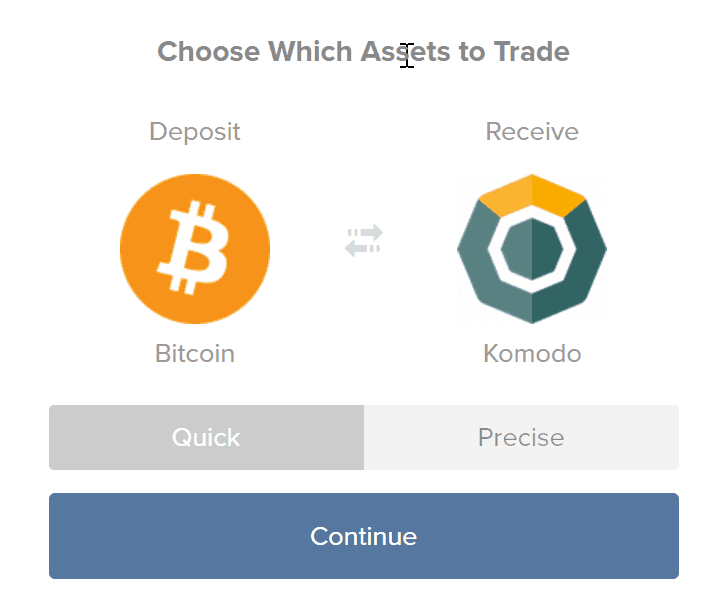 If you need to know the step-by-step process of exchanging other cryptocurrencies for Komodo, see our guide on ShapeShift. Though this guide is for exchanging ETH for BTC, the process is the same to buy Komodo. 1. 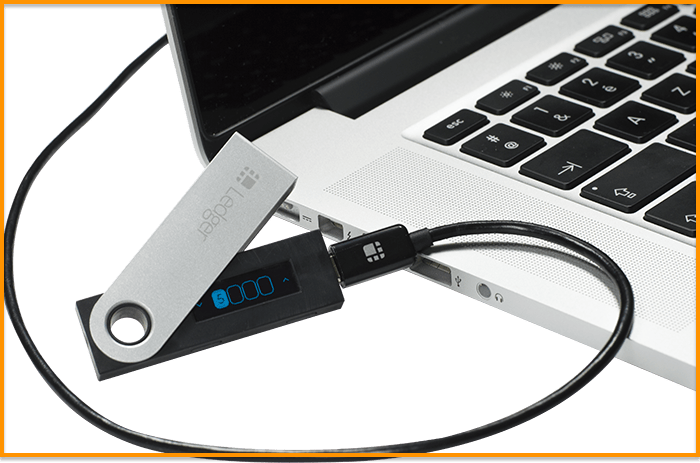 Ledger Nano S – The Ledger Nano S is the safest way to store your KMD currency, as your private keys never leave the device. You can buy Komodo from anywhere and then transfer it to your Ledger address. The only downside is that it doesn’t allow its users to directly claim the 5% bonus for holding Komodo but there are certain tricks by which you can do so, here is the trick. 2. Agama Wallet – This is the official desktop wallet developed by Komodo developers. 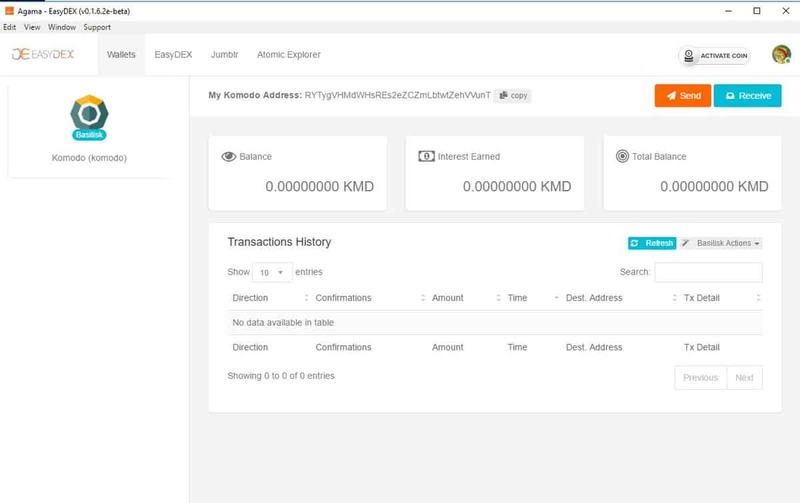 It has an inbuilt exchange and a multi-coin wallet that supports KMD and other supported currencies. It also has a privacy-enhancing feature called Jumblr. But it still being improved and every version is getting better only. (Contains a fair amount of bugs). This wallet can also be used for staking KMD coins to earn a handsome profit of 5% annually. By following this official guide you can claim your interest easily. It is available for Windows, Mac, and Linux operating systems. 3. Komodo Paper Wallet – A Komodo paper wallet is a piece of paper that has both the public and private keys printed on it. If you are comfortable using paper wallets, then you can follow this link and make one for your self. You can also use this video guide to help you when making a Komodo paper wallet. From a cryptocurrency investment point of view, Komodo has given a significant return to its investors since the ICO. I believe this high return will continue as the team is going to refine and strengthen their marketing/development efforts. 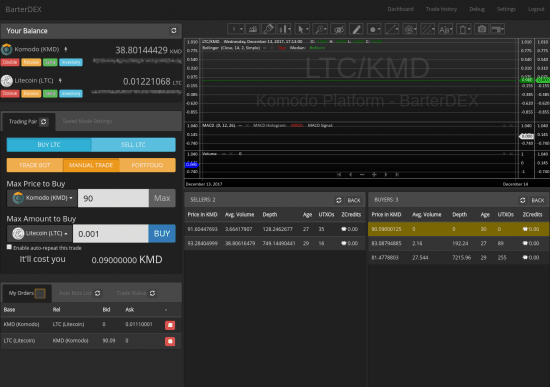 Apart from this, Komodo crypto has transformed into Komodo platform, which is developing several tools for the decentralized cryptocurrency industry. 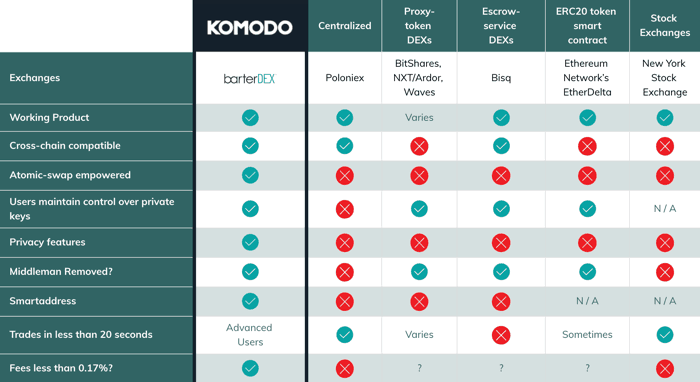 As the tools like dICO, BarterDex, Peerchain etc in this image keep on developing and getting mass adoption, many good things will happen for the Komodo community (including a surge in price). And when you compare Komodo platform with other peers it has developed in a rapid fashion, now it not merely an anonymous cryptocurrency instead it is a full-fledged solution for a decentralized economy. Here are some of the key differences between Komodo vs Dash vs Zcash vs Monero etc. Big things are happening on the cryptocurrency front! Keep an eye on CoinSutra to stay up to date! Update: BarterDEX is a secure and universal decentralized exchange powered by atomic swaps. Now I want to hear from you: Are you invested in Komodo? Are you using BarterDex? What do you like/dislike about the project? What do you think is going to happen with SuperNET? Let me hear your thoughts in the comments below! If you liked this post, don’t forget to share it with your friends and family on social media! What are your thoughts on what effect- if any,-changes to the Bitcoin blockchain and hard forks might have on Komod? Komodo’s protocols?. . . .or other related cryptocoins? My thought is any fork on any chain will result into short-term FUD and as well as one of the chains with maximum adoption and transactions will survive & be embraced. What I meant was do you see any technical problems? For example the double-spend issue if left unresolved effecting both pre and post fork blockchains impacting firms using it like Komodo? I am not real versed in this area, but I just downloaded the entire Komodo blockchain for the Agama wallet 5-minutes ago. Will be covering that soon in a different article. You have a typo In your article, 5% address you will acquire Interest for address starting with “R”, which Is also called Transparent address. Great pair of eyes. The typo you catch. Your link for swing wallet takes me to the kmd website and gives me the option of agama or komodo CLI. Is the komodo CLI the swing wallet? Your link for swing wallet takes me to the kmd website and gives me the option of agama or komodo CLI. Is the komodo CLI the swing wallet? Also How do I know when downloaded apps such as kmd and neo need to be updated? Also, I’m reading from other sources that using ledger nano s in conjunction with the agma wallet you can infact claim interest. Do you know this to be true? I’m currently sending kmd from my ledger to my agama. Everything seem to work well with the agama wallet but my transaction from ledger to agama has been in the preparing transaction for 20 minutes at least. Does the browser support still need to be off during this transaction? Cryptocurrency price prediction is just the start: a view into how crypto will change the world. Cryptocurrency Comparison, Predictions and Price Charts analysis of Komodo Vs Neo Comparison and Price Prediction many more for coming years 2018 2019 2020 2025.